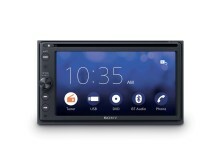 Sony extends its series of in car audio, which is the perfect match to your smartphone. Firstly the XAV-AX200 AV Receiver with smart features, followed later by the DAB version. The XAV-AX200 provides all the integral tools for entertaining car journeys whether you prefer videos or audio, there are plenty of options to choose from. It boasts a clear and responsive 6.4-inch touch screen and ergonomically designed rotary volume for easy operation. Enjoy the unique sound technologies on offer with EXTRA BASS™*** and Dynamic Stage Organizer (DSO) which features clear and punchy bass while improving the stereo positioning so music sounds like it's coming from the dashboard. 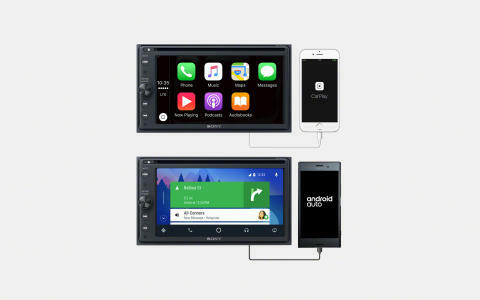 Apple CarPlay: A smarter, safer way to use iPhone on the road, CarPlay seamlessly integrates iPhones with the car audio’s display and controls. Drivers can make phone calls, access music, send and receive messages, get directions optimized for traffic conditions, and more while staying focused on the road. Android Auto: Android Auto extends the Android platform into the car in a way that’s purpose-built for driving. With a simple and intuitive interface and powerful new voice actions, it's designed to minimize distraction so you can stay focused on the road. It automatically brings useful information organized into simple cards that appear when needed. The newly introduced feature of the 3-External Camera Input allows driver to see a selected image among 3 connected cameras. One input relates to the reverse while the other two can be selected manually. This feature will significantly transform the way you listen to and appreciate audio. EXTRA BASS™ has low boost circuitry which overcomes the engine noise and produces clear sound at any volume with a deep, powerful bass. The product also boasts the DSO function which adjusts the signal creating on-dash virtual speakers’ to allow for a high quality sound experience. The new models have built upon the strong foundation of the XAV-AX100 model with several features added to intensify and improve your entertainment. Theconfigurable steering wheel remote input covers general command protocol, so no adaptors are necessary for signal conversion between steering wheel and the head unit. Furthermore, there is a new high voltage pre-out (4V) which gives a powerful 4-volt signal that attains clearer sound with less distortion when the head unit is connected to the power amplifier. The 10-band equalizer (EQ10) with 10 pre-sets provides easy and effective frequency adjustment for various listening environments. The FLAC audio file compatible (via USB terminal only) provides free lossless audio codec (FLAC) which is an audio format similar to MP3, but with the difference that it compresses without any loss in quality. 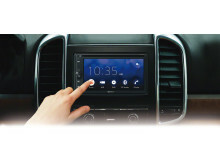 There will also be a DAB version of XAV-AX200 which will be available from March that is capable of providing a seamless, fully integrated digital radio experience. 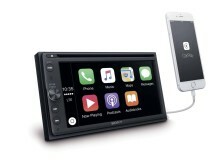 This completes the Apple CarPlay & Android Auto products family along with XAV-AX100 and XAV-AX200. The XAV-AX200 will be available across Europe by September 2017. *Apple, iPad, iPhone, iPod, and iPod Touch are trademarks of Apple Inc., registered in the U.S. and other countries. 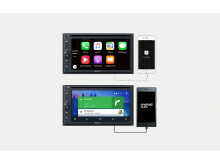 Apple CarPlay is a trademark of Apple Inc.
** Requires the Android Auto app on Google Play and on Android compatible smartphone running Android™ 5.0 Lollipop or higher. 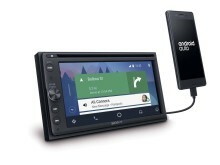 Android Auto may not be available on all devices and is not available in all countries or regions. Android, Android Auto and Google Play are trademarks of Google Inc.